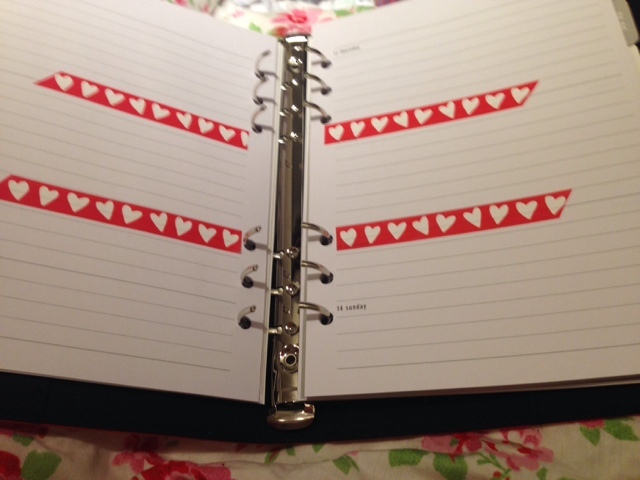 With Valentines looming, I couldn't resist a cheeky purchase in the Paperchase sale to add a festive planner to my collection. 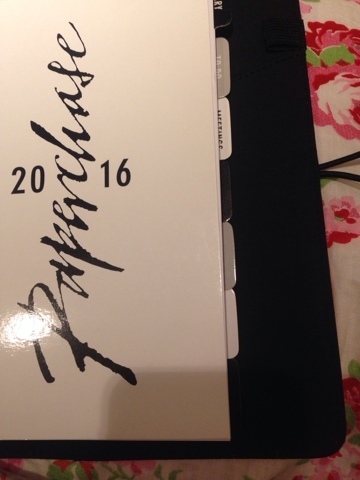 The thing I really love about Paperchase planners is the affordability they offer. This A5 was a steal on sale, but even without the discount they offer pretty planners which are easy on the pocket. 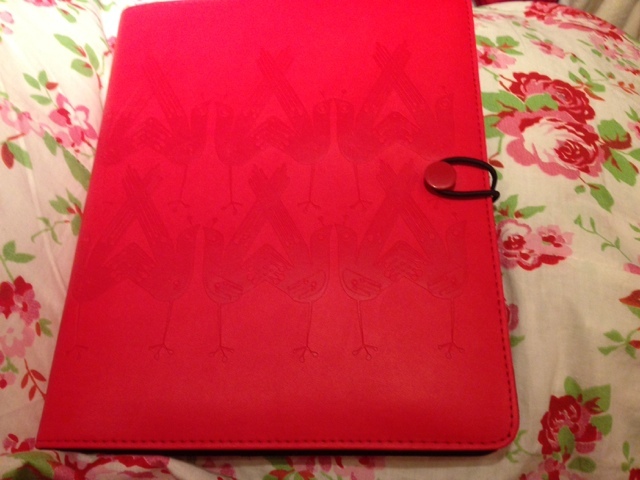 The cover is soft and smooth, with a cute bird design embossed on the cover. It does feel a little plasticky to the touch, but it doesn't have that chemical smell some synthetic covers have. 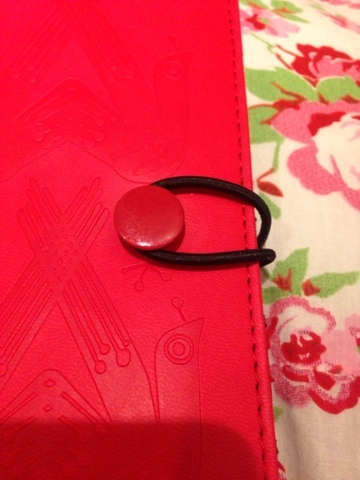 It has an elastic loop closing, which feels a touch flimsy but seems to be quite secure. The inside lining is a crisp black, it has a real professional feel to it. I'd be happy walking into a meeting with this little number. Although I'll jazz up the inside of my planner, the professional feel continues with the dividers which are a sleek monochrome design rather than the usual rainbow you get with Paperchase planners. 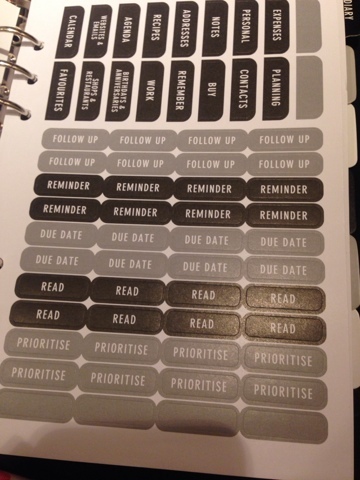 The planner even comes with these stickers so you personalise your dividers. This reminded me of the inserts that came with my kikki k and personally it's something I like about the planner: it gives a greater degree of flexibility. I had already started to decorate when I realised I hadnt taken a picture of the inside of the weekly layout, but the inserts are a week to two pages with a horizontal layout rather than vertical. 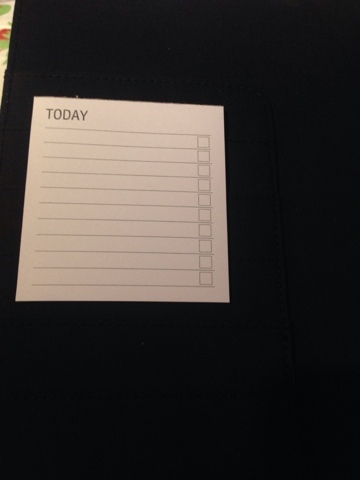 For me this planner was money well spent, and I'm certainly happy I added this one to the collection. Not so sure my valentine was as pleased, but I guess a planner girl can't have everything!